Presence - Nuno Felting Kits New Colors Coming soon!! Follow me on Facebook to see them first!!! 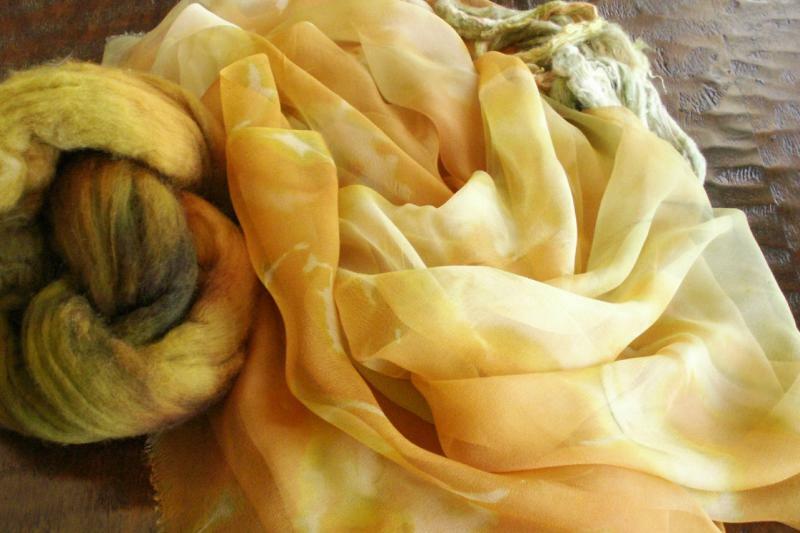 Nuno Felting Kits New Colors Coming soon!! Follow me on Facebook to see them first!!! 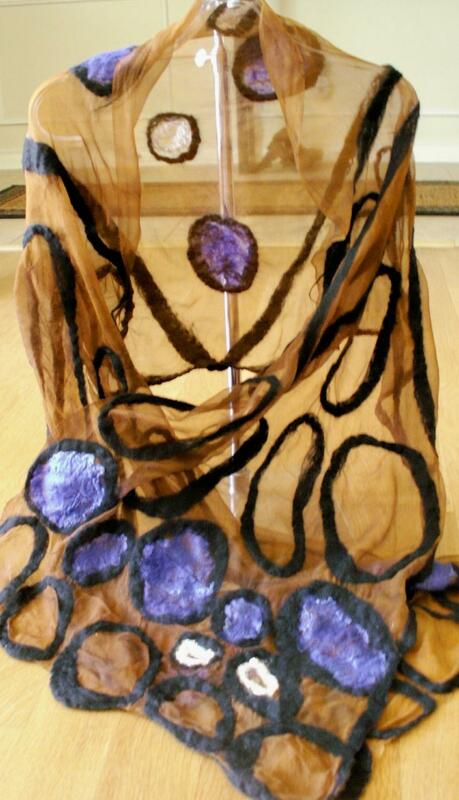 Nuno felting scarf kits on silk chiffon (also called gauze). Very affordable pricing! 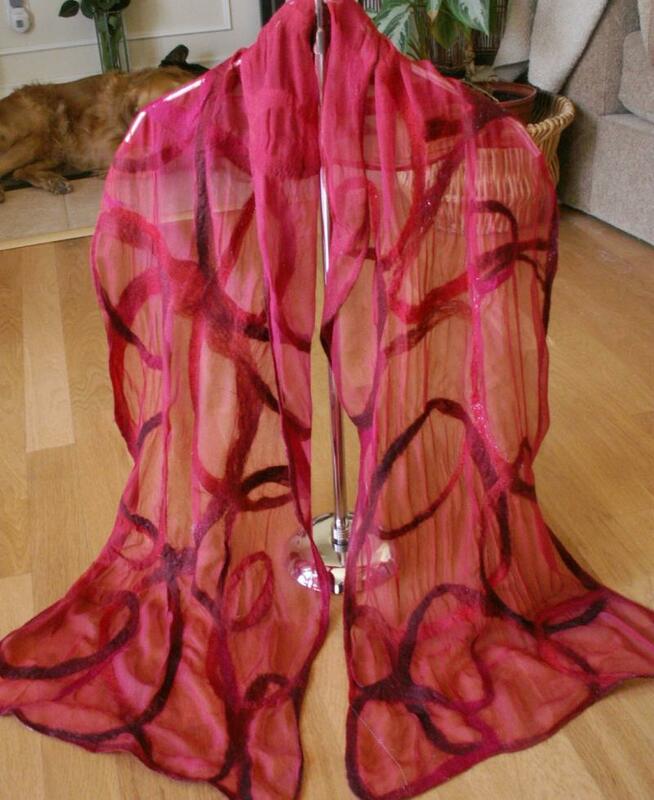 Now using the 4.5mm silk chiffon. 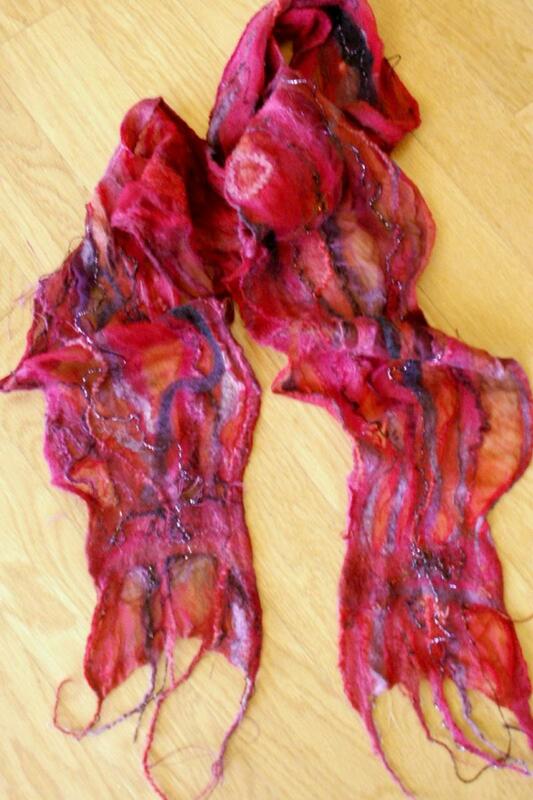 Receive free nuno felting instructions with a purchase for a limited time only. 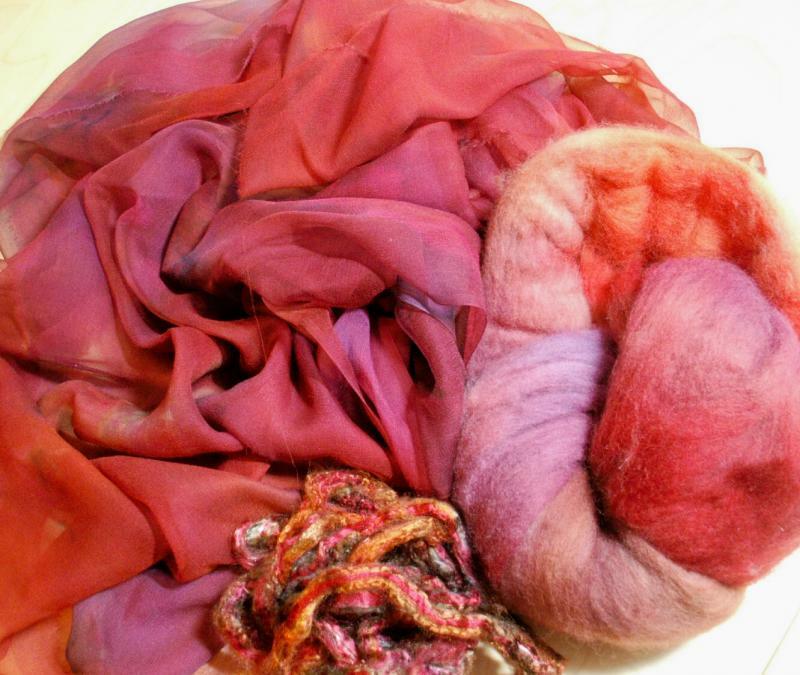 These are new nuno felting kits in some easy to wear colors. 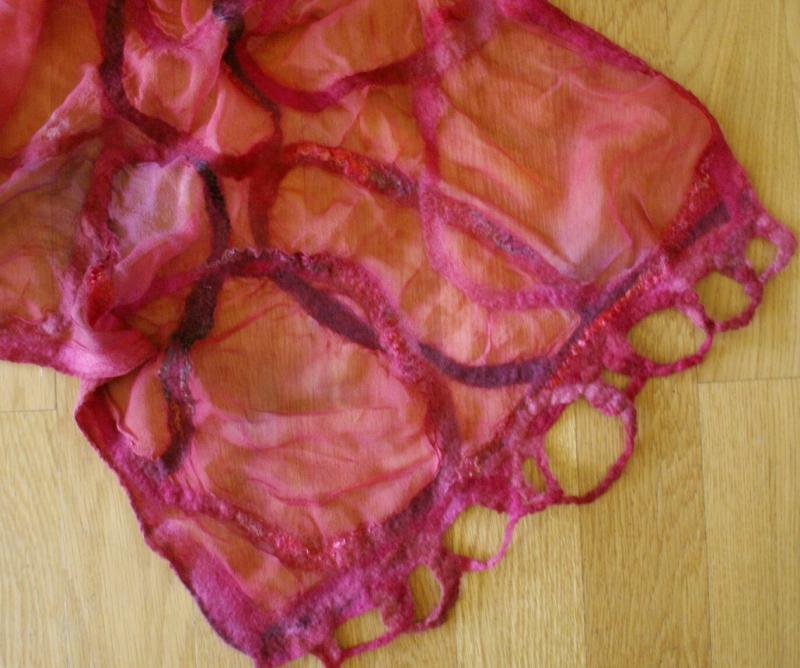 The kits include an 11 X 90 unhemmed piece of 4.5 mm silk gauze, hand dyed with beautiful tone on tone color variations. 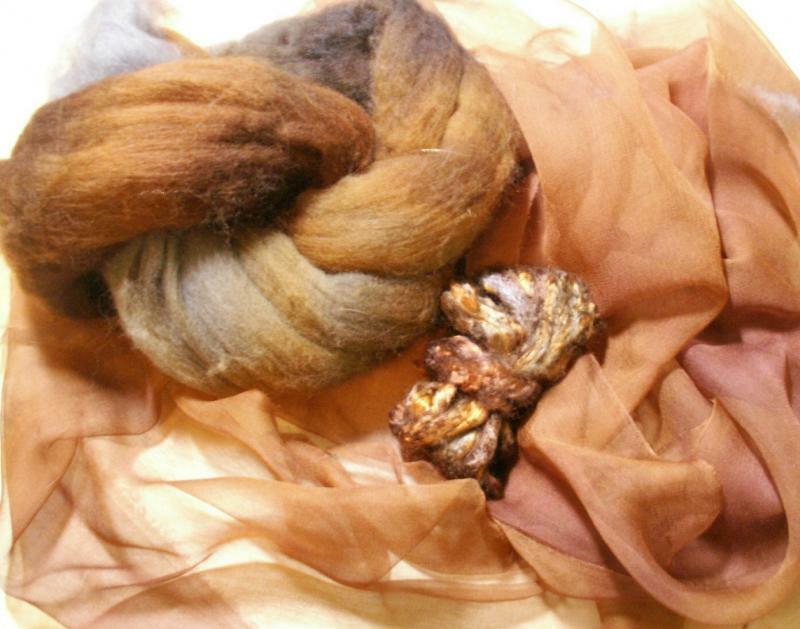 You will also find approx 22 gms of extra fine 16.5 micron merino roving in a coordinating color and .1 oz of dyed to match silk and bamboo roving to add sheen and luster to the wool side of the scarf. Add some yarn or sparkle from your stash and you are set. Simply stunning! See the sample pictures below and my blog (the address is below) for more information about how to make these. Also check out my Etsy shop where I put my newest colors!. www.nunofeltingsupplies.etsy.com. Thank you!!!! Sometimes there are Nuno Shawl Kits in my Etsy shop. 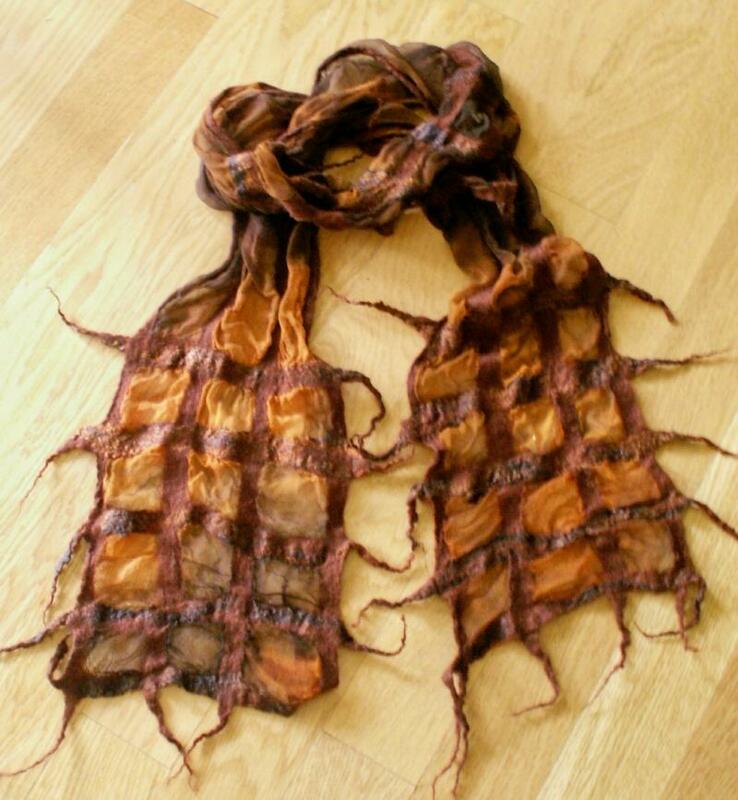 Scarf Kit Canyon -- the piece has burgundies and oranges and a little brown in it. 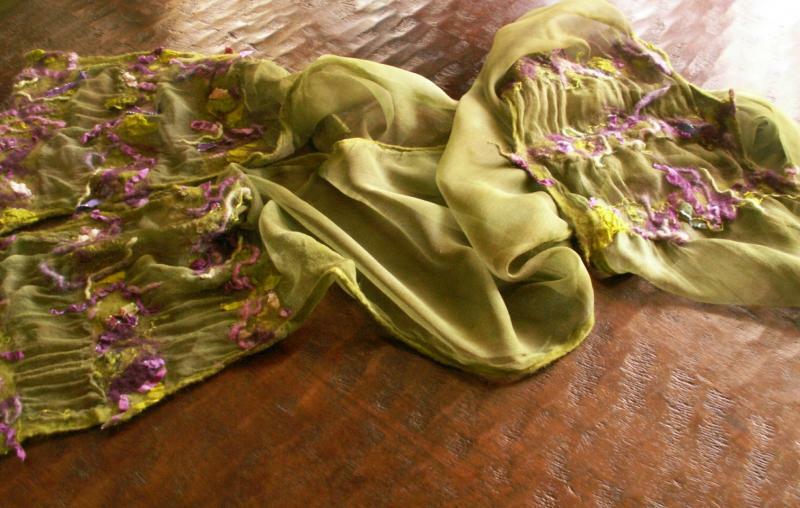 See my blog at www.learnedlately.blogspot.com for some pictures of how I made these scarves (scroll down). Many of these have extra things felted in from my stash. Lightweight, preferably natural fiber, silk hankies, ribbons, lightweight wool yarns, threads and bits of fabrics were all added (these are not included in these kits but I bet you have some in your stash!) 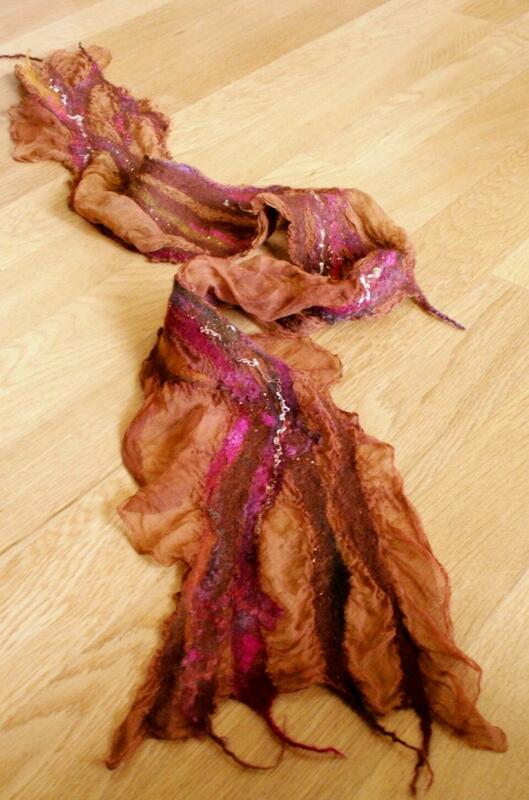 The red ones and the copper brown butterfly are double width sized pieces which is a shawl sized piece. You can order that size -- just email me or look in my etsy shop!